We all hear that Pinterest is wonderfully successful for delivering traffic to websites and for generating sales but how do you know which pin was the most successful? Which types of pins are working best for you? Which repinner was the most influential? Which group board generated the most repins? There are various analytical platforms available now including Pinterest’s own analytics and I’ll be showing you some of their best bits next week. Today I am going to show you how to find that information in Google Analytics. At the moment, I am writing one blog post per week and sharing it across the various social media platforms. 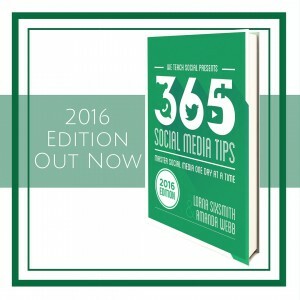 I tend to schedule about 5 or 6 tweets to the blog post, share it once on my facebook business page, usually share them to LinkedIn and I tend to pin it to about 4 or 5 boards on Pinterest (one or two of my own boards and to contributor boards). Some readers of my blog posts also share the post using the flare buttons at the side and top of the post. As you can see, Pinterest is by far the most successful platform for click throughs to the website. Now, I could either read this as telling me I need to improve on the performance with the others or else Pinterest is just sweeping the boards with success. I will read it as both – work to improve facebook, twitter and linkedin and continue with what I am doing on Pinterest. Interesting isn’t it – there’s lots of lessons to be learnt here but let’s move to delving into the analytics on Pinterest. Last month, I discovered that one pin had delivered about 700 clicks to a blog post over a weekend – because an influential pinner had repinned it. Today I see that the first and third posts listed here are both ‘old posts’ in that they were written some months ago, and it shows that the pins are still being repinned and are still generating clicks from Pinterest (as well as organic searches of course). 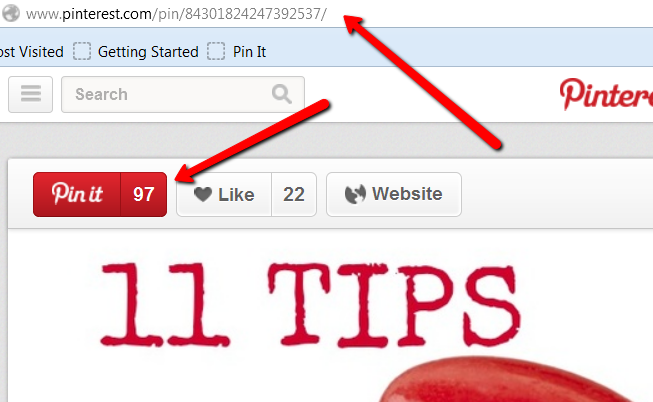 Number 2 is a post I wrote last Friday so within the week, Pinterest has sent 178 clicks across. Not hugely successful compared to fashion, parenting, seasonal or beauty posts for example but considering Pinterest is most successful for those with beautiful images, it isn’t bad. I can also see from the ‘flares plugin’ that it generated over 200 shares across the platforms so it is interesting to see how many click throughs they delivered. 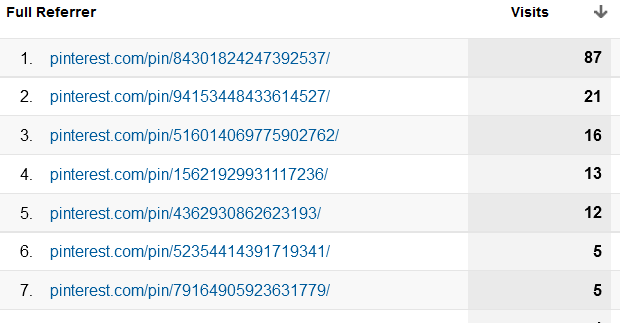 I can see that one pin delivered 87 clicks in the last month. (The other pins have different URLs as they are pinned or repinned by others). I need to find out who pinned it and what board it was pinned to. 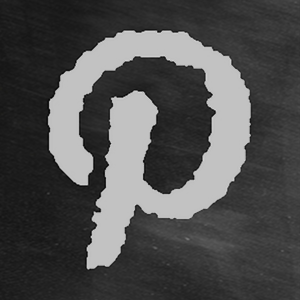 If it is an influential pinner, I want to make sure I am following them for example. Click on the link and then paste it into your address bar. I discover that I am the pinner! It is the pin that I pinned to my own ‘How to use Pinterest’ board so it is the original pin that was pinned months ago. It has achieved 97 repins from that pin (and will have achieved repins from others’ pins too). 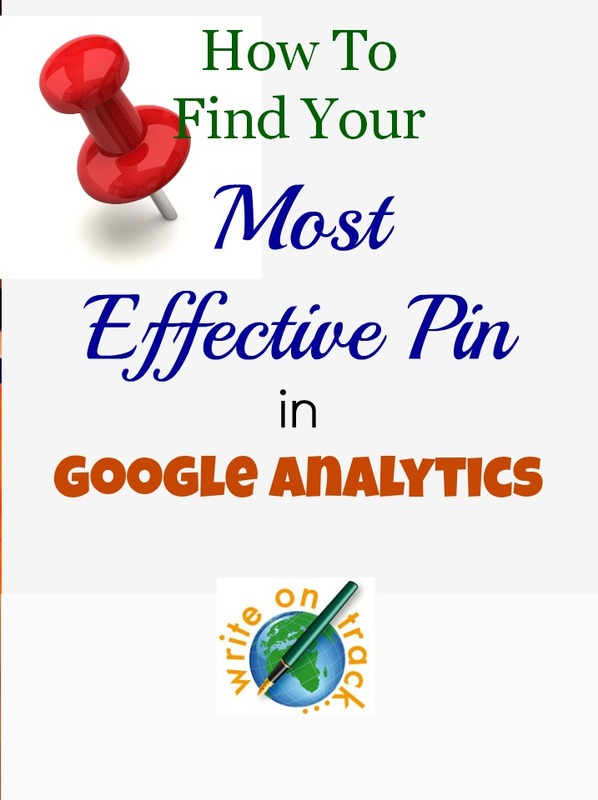 I then check out another one (from the blog post last Friday) and I discover that the most effective pin is one that was pinned to the Hubspot contributor board (one that always performs well for my pins). Do you get the idea? It is a really effective way to find out who are your most influential repinners (as I discovered last month), the most effective contributor boards and own boards. It is also interesting that my most successful images were just plain text with overlays created on Picmonkey – just like the one I’ve created for this blog post. 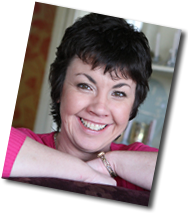 ( I will show you next week how I created them) Pinners love beautiful images but they also like useful information and it is important to make your blog images clear and attractive so they will maximise their impact on Pinterest. What is your best pin this month? Which pin delivered the most traffic to your website?